Listing Office: Suder Realty Inc.
Come enjoy this beautiful four bedroom cul-de-sac home with a pool. This home has been freshly painted inside. Nice sized bedrooms are all upstairs. Master bathroom has been completely remodeled w/beautiful Carrera marble countertops and lovely shower enclosure. Kitchen has upgraded cabinets, SS appliances and solid granite countertops. Outside you'™ll find a large pool and a great entertaining patio area. Easy maintenance landscaping, solar electric and solar pool heat. Poway schools w/o Mello Roos! SchoolsClick map icons below to view information for schools near 13828 Via Boltana San Diego, CA 92129. Home for sale at 13828 Via Boltana San Diego, CA 92129. Description: The property at 13828 Via Boltana San Diego, CA 92129 in the Penasquitos Knolls subdivision with the MLS# 190005333 is currently listed for $770,000 and has been on the market for 88 days. 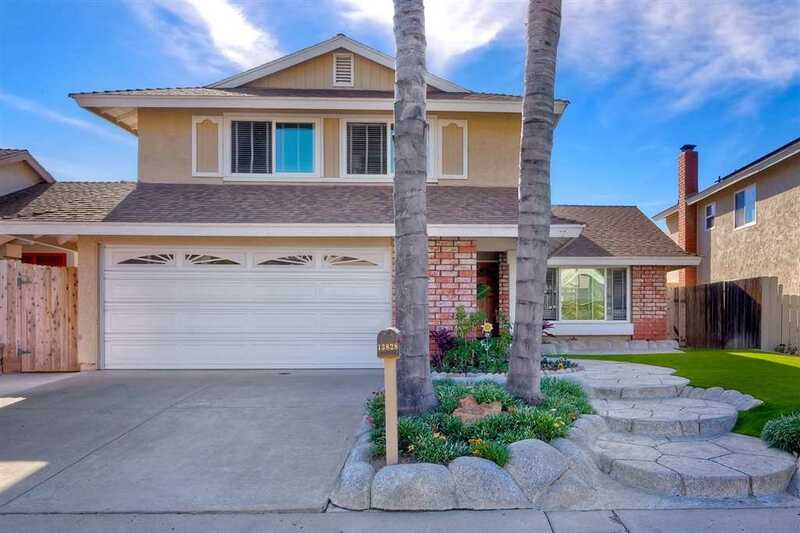 You are viewing the Sandicor listing details of the home for sale at 13828 Via Boltana San Diego, CA 92129, which features 4 bedrooms and 3 bathrooms, and 1843 sq.ft. of living area.